February 7th, 2019 | Lifestyle. The Big Apple. The City that Never Sleeps. New York, New York. All of these describe New York City, a unique place that holds a special spot in the hearts of almost all Americans. However, with the good comes bad, too. If you live in New York City but are planning to move, you will find there are things you will be glad to leave behind. Of course, you will also remember a lot of things with fondness as well. Below are the things that make New York special from both a positive and not-so-positive perspective. While moving to a new place is rarely an easy transition, there are probably some things that you are looking forward to in your new location. Here’s what you likely won’t miss about your old home. New York City is America’s most-populated city, and Manhattan alone contains well over a million-and-a-half people. All of these individuals reside in an area that is less than 23 square miles and is surrounded by water on all four sides. For perspective, San Antonio, Texas, has a population just slightly less than Manhattan, yet contains 465 square miles for its inhabitants. The sheer denseness of New York City’s populace means there is rarely a moment for residents to be truly alone. Privacy is a precious commodity in New York City, and one that many cannot attain easily. While individuals vary in the amount of privacy they need, almost everyone wants to find some alone time on occasion. When you move away from New York City, you probably won’t miss the lack of privacy in the Big Apple. Since New York City is so densely populated, it also stands to reason that high demand for many commodities, including food, living space and transportation, make it an expensive place to live. In fact, New York City is the single-most expensive place to reside in the nation. The average rent for a Manhattan apartment exceeds $4,000 per month, and residents must tolerate skyrocketing grocery and entertainment expenses. While incomes are higher, on average, than other parts of the United States, the overall cost of living for New Yorkers is around 125% higher. For most people, paying more than double the living expenses of other Americans isn’t something will miss when they leave town. America is an automobile-crazy country, and the ability to move about independently is important to its citizens. However, the high cost of parking, limited space and other impediments prevent many New York City residents from enjoying this privilege. As a result, less than one in four Manhattan households own a personal vehicle. That means the other three-fourths of the island’s residents must walk, bike or use public transportation to get to their destinations. This limits the reach of the average New Yorker to get out on their own and move about without depending on a third party. Despite the above-mentioned drawbacks of New York City, there are some perks to living there. Here’s what you probably aren’t looking forward to leaving behind. New York City is America’s hotbed of culture and entertainment. 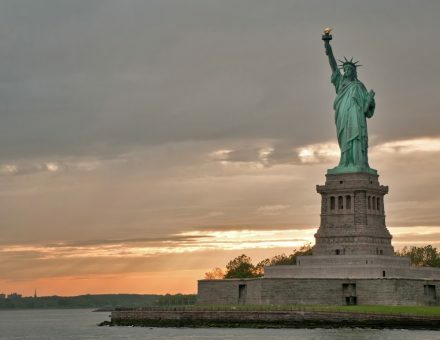 If you live in New York City, you have the opportunity to explore hundreds of museums, countless live music venues, thousands of ethnic restaurants and authentic neighborhoods representing people from all around the world. In addition, New York City is America’s historical mecca. It has an old Dutch heritage dating back to the 17th century, and the sense of grandeur and history in New York City is unmatched. You won’t find any other place with such an overwhelming presence. New York City contains an impressive, unrivaled public transportation network. For example, there over 13,000 taxis inside the five boroughs of the City. In addition, New York City’s subway system is among the world’s elite, with over 600 miles of track and well over one billion riders per year who take advantage of its safety and convenience. As a result, New Yorkers have the privilege of being able to move about within the city without the need to own a car. Taxis, subways and buses are available 24 hours a day, seven days a week, to take you wherever you need to go. This is another aspect of New York City living you will miss, since no other American city has a public transportation network that can touch it. The last thing you will miss about New York City is its unparalleled opportunity. No city in America can give you the freedom that New York offers to become who and what you want to be. If you want to act, then New York City is there for you to achieve that dream. If you believe you can sing, then the City is your stage. It requires dedication and hard work, for sure, but if you want it badly enough and have the talent, then there is no other place you can soar as high as in New York City. If you are planning a move in your near future, be sure to contact Wheaton World Wide Moving for help. Their experts can assist you with getting ready for your move and will make it a great experience, too.